37 Pocket, 7 Vertical & 30 Horizontal portable spinner revolving pocket heavy gauge wire display for the most popular scenic view 4" x 6" postcards. FULL View - 1 1/2" deep pockets for up to 100 cards. Easy, no tool installation with a clip-in sign holder. White or Black powder coated finish. Perfect for craft and trade shows. 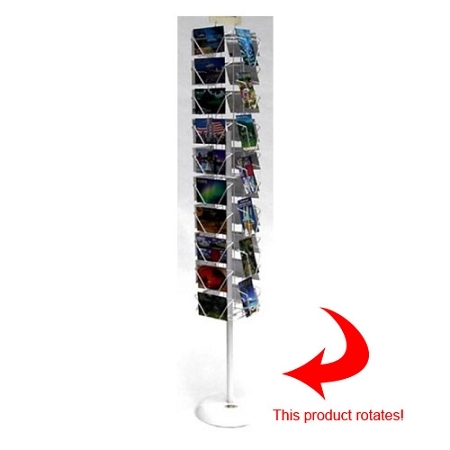 I use these spinners as photo spinners...everyone loves this idea. Enjoy!